Ruins, from ancient temples to 17th century fortresses, have long fascinated us. Their crumbling beauty attests to past generations, lost cultures, and an ever-changing world where nothing lasts forever. With the rise of aerial drones, we now have a fresh perspective on ruins, lending a new sense of awe to what remains. Take for example this incredible shot by Mark Cunich submitted to SkyPixel, a community for aerial photographers and filmmakers. 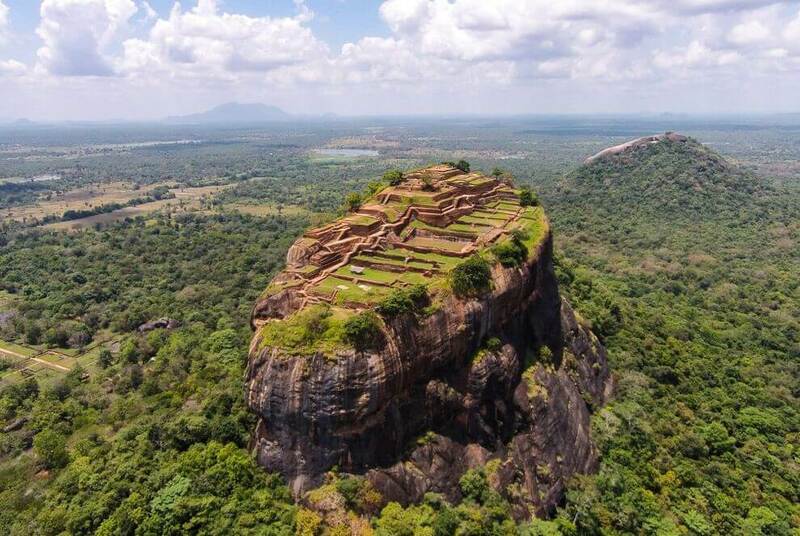 The arresting view shows off Sigiriya, a 1,600-year-old rock fortress in Sri Lanka that dramatically rises 660 feet above the forest floor. Aerial photographer Witold Jermolowicz captured this overhead shot of an abandoned castle in Poland using a DJI drone equipped with an FC350 camera. As evidenced by the photo, the forest is now right at home inside the castle walls. What remains of the Ixmoja Pyramid in the ancient Mayan city of Coba, Mexico, emerges from the jungle in this beautiful shot from photographer Dave Wiley. Ixmoja, a pyramid you can climb, is the tallest in the region and offers spectacular views of the rain forest. Wiley captured the image using a DJI Phantom 3 Professional. Nara Dreamland in Japan is one of many abandoned amusement parks around the world permanently closed and left for nature to consume. As this shot from aerial photographer Jordy Meow shows, the brush and trees in only a decade’s time are starting to claim portions of the park’s roller coaster. Photographer Witold Jermolowicz captured another gorgeous ruin in Poland, this time of a cliffside 14th-century castle overlooking the village of Olsztyn. Abandoned in 1665, it remains an attractive tourist destination thanks to its idyllic setting and impressive, free-standing prison tower. Kos Island in Greece is littered with beautiful monuments and ruins, reflecting its use throughout antiquity as an important trading center. As aerial photographer Andrea Leone shows in this image, to get a clear picture of the layout of some ruins, sometimes it’s best to view them from above. Aerial photographer Emmanuel Bégué captured the overhead ruins of the Château de la Ferte-Vidame, an abandoned 14th century estate outside Paris. While the lawn appears maintained, the once-impressive gardens have disappeared, leaving behind nothing but a footprint of their former beauty.